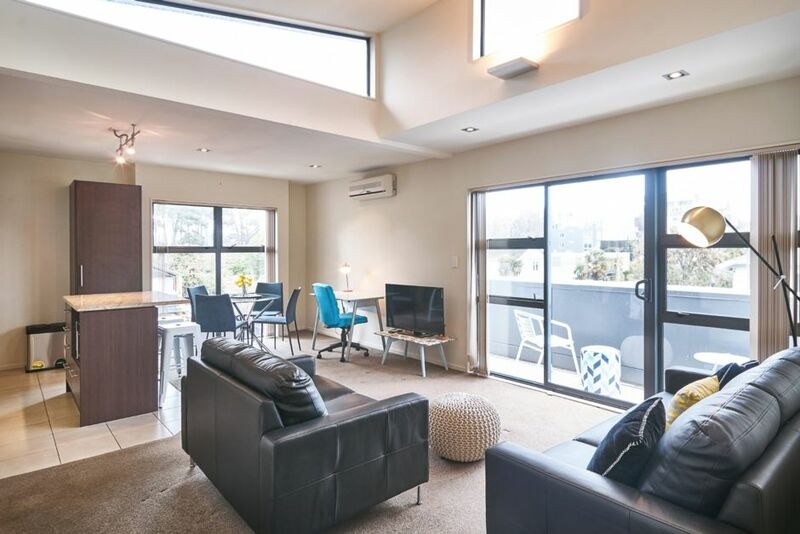 Enjoy great vistas across to Hagley Park from this light filled apartment. It is on the top floor of a small apartment block. Carlton Villas 2 and 3 are on the first floor above a street level flower shop You are close to bustling Victoria St with shops, restaurants nightlife and public transport. Great for couples, business travellers, and families (with kids). This penthouse has 2 bedrooms with private balcony and great location. Please note the apartment access is via stairs. Great location for cycling round Hagley Park or walking to the city. We were informed with less than an hour of check in that parking was no longer available. We were informed with less than an hour of check in that parking was no longer available. We had to park on the street which wasnt easy. This apartment does not 'overlook' the park, it is nearby. The beds were too soft to sleep two people, as we kept being forced into the middle of the bed. And the photos make the apartment look much bigger than actually was. Shower also had scum on it. When I complained I was shot down because 'no one else has complained before'. Would never book them again!